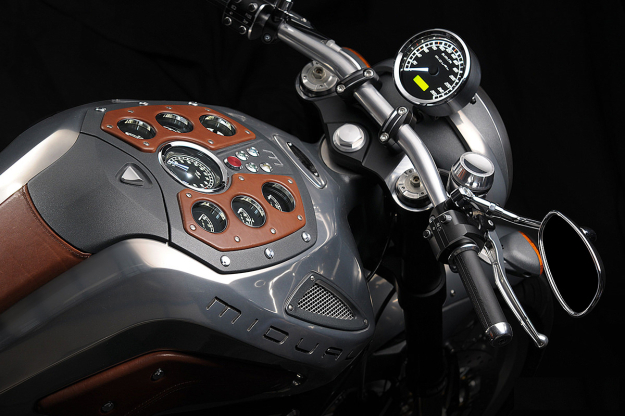 We were thrilled to be commissioned by RDMO to design and manufacture a full set of instruments on behalf of French ultra-luxury motorcycle manufacturer, Midual Motorcycles for their Type1 motorcycle. 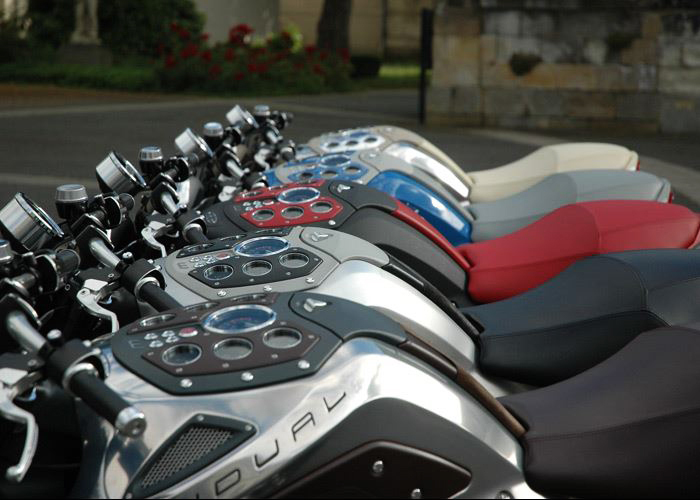 Founded in 1992 by the brothers Olivier and François Midy, and headquartered in Angers, France Midual is renowned for producing high end opulent motorcycles. 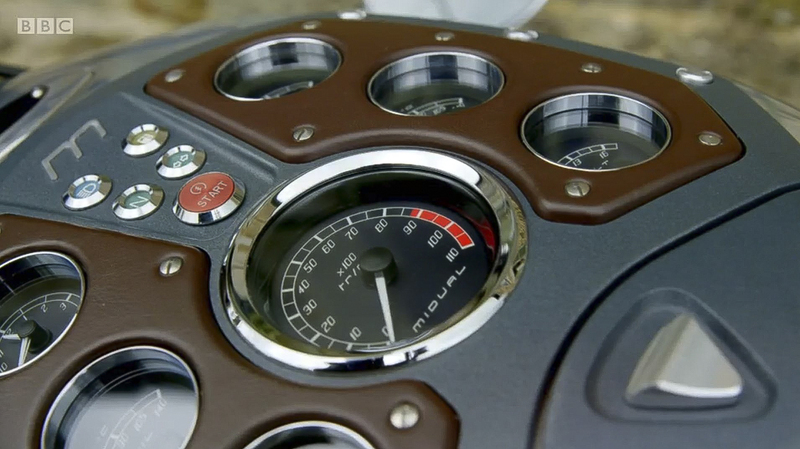 The type 1 showcased 2 prototypes of its planned 35 limited edition exquisite motorcycles at the exclusive Pebble Beach Concours d’Elegance in 2014. 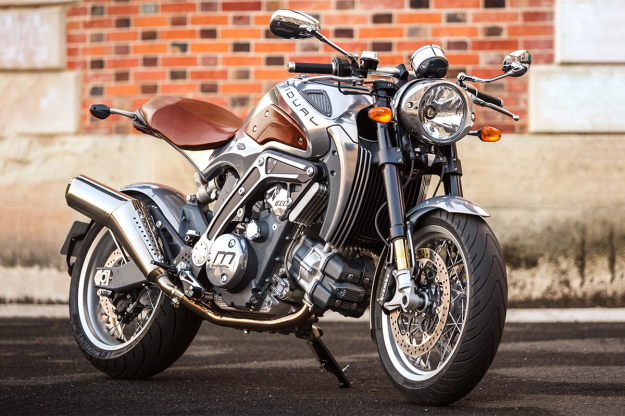 The stunningly handcrafted Type 1 bikes featured a 1036cc boxer-twin engine, a single-piece aluminium-cast monocoque frame, bespoke personalisation offering 45 types of leather and 25 sand casting shades. It is considered to be one of the most expensive bikes in the world. 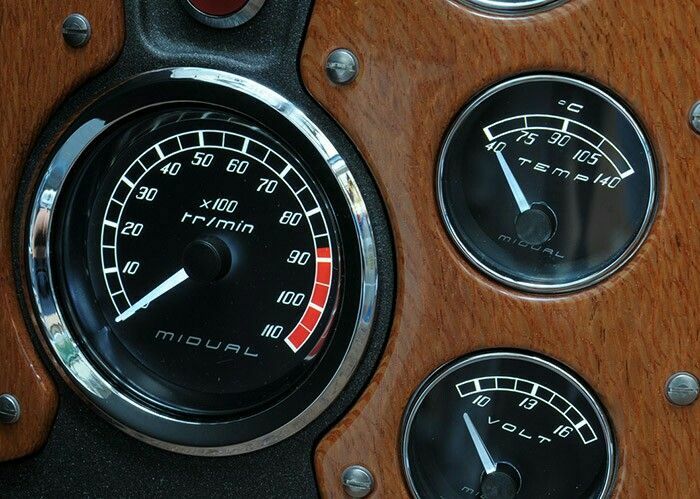 The seven dashboard fitted instruments consist of an 80mm backlit 11K Tachometer, with six further 52mm gauges including a backlit water temperature, 9-17 voltmeter, oil pressure, backlit oil temperature, backlit fuel and analogue time clock. 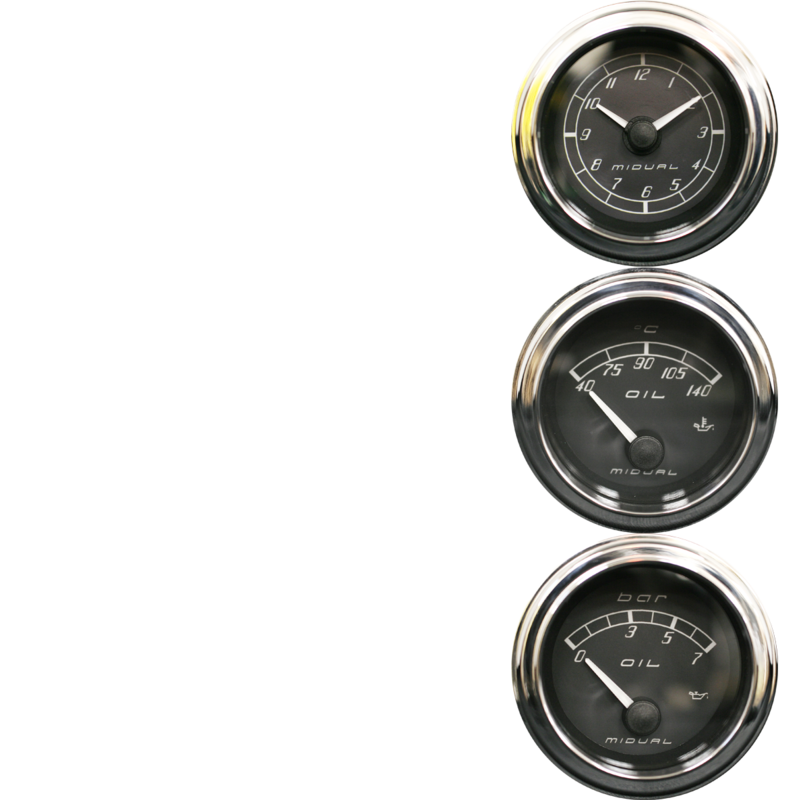 All gauges feature black dials, chrome full vee bezels, white print, white pointers and white illumination. 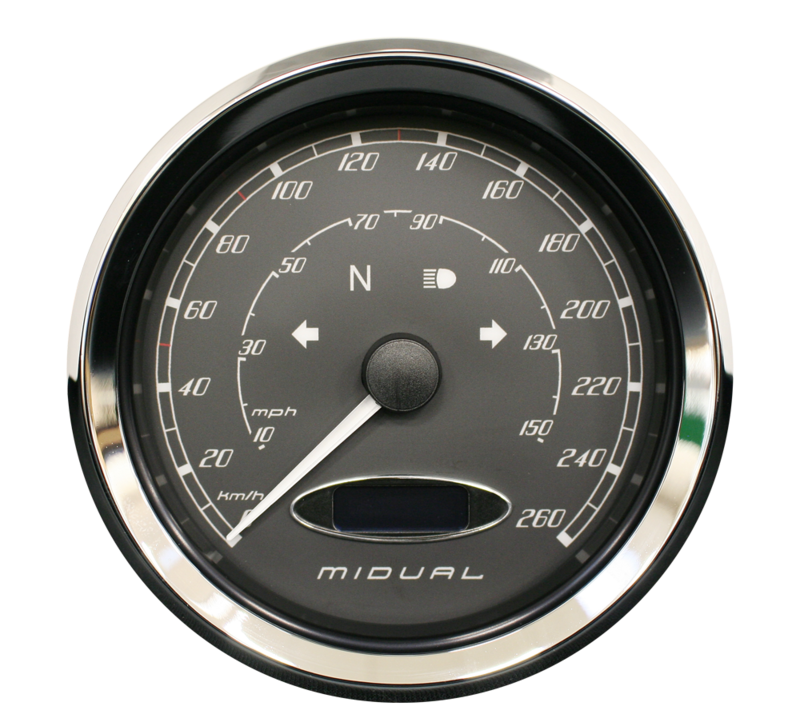 The final showpiece instrument is the 100mm 0-260 Km/h electronic speedometer which sits in front of the one-piece taper-section handlebar. 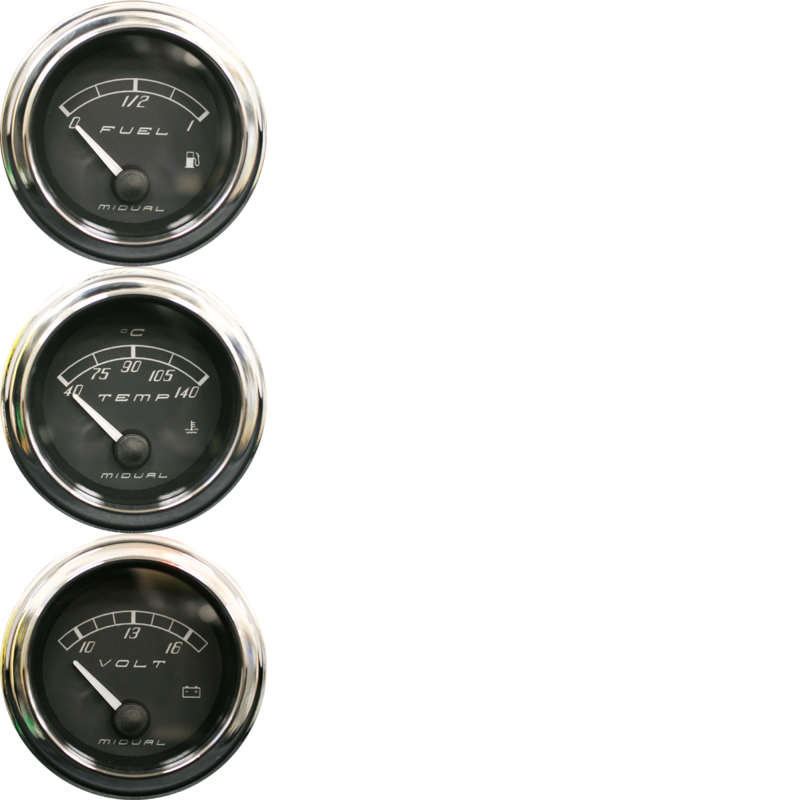 The Speedometer compliments the other gauges with matching black dial white print, white pointer and full vee chrome bezel. 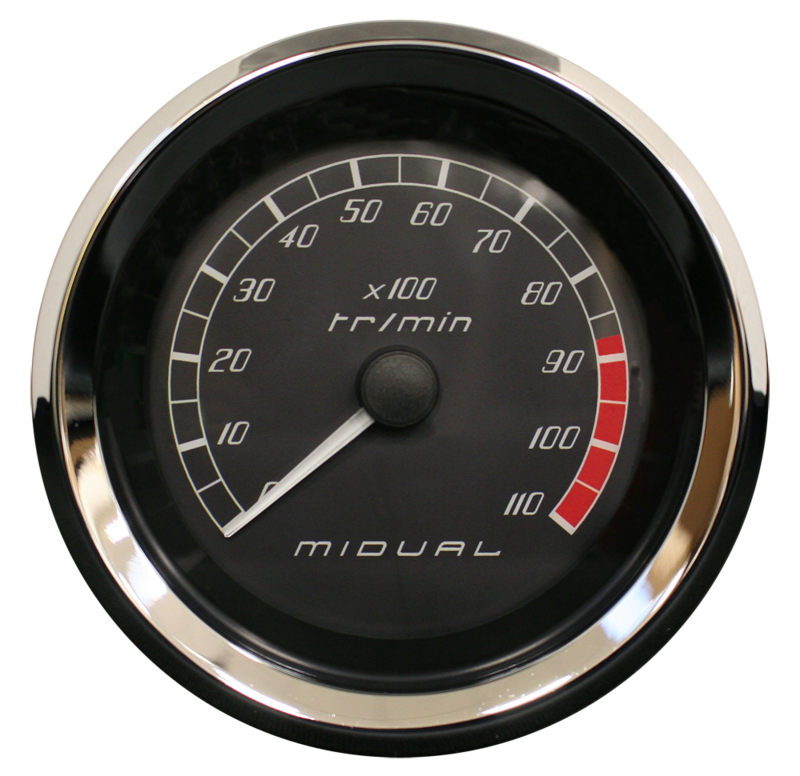 4 warning lights include hi-beam, neutral, left and right indicators and maintain the clean lines of the dial face. 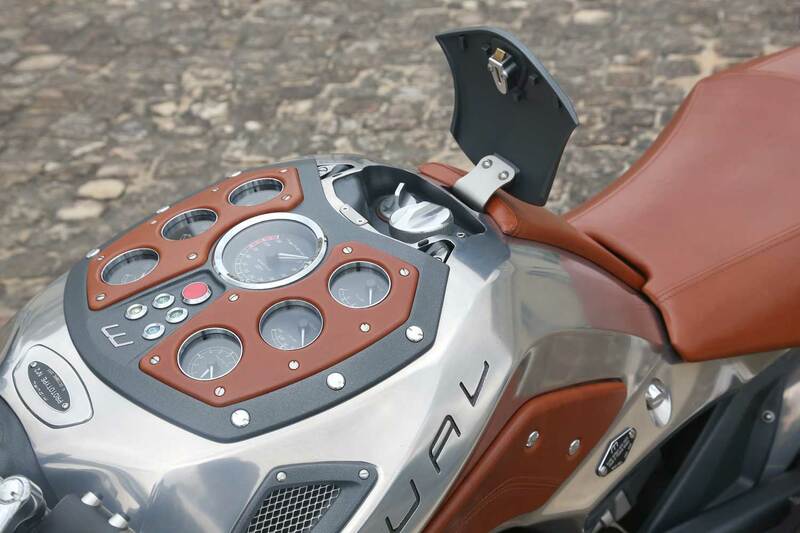 Read our blog on the Midual Motorcycle featured in the BBC's Hairy Bikers program.